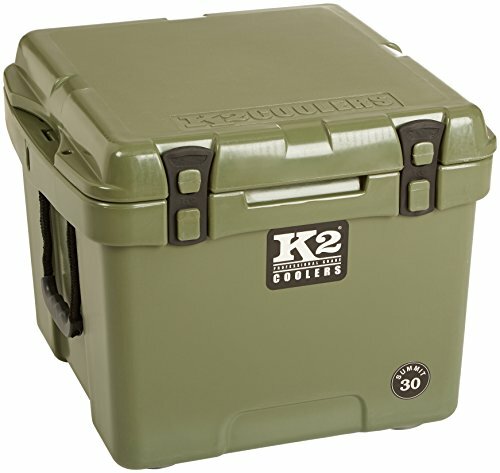 The K2 summit series delivers extremely rugged and durable ice chests that deliver maximum ice retention without breaking the bank. Our coolers are constructed by rotational molding which uses high temperature and low pressure. This is a time intensive process but the end result is a durable, one-piece cooler with no seams for maximum durability and life, ENDURA integrated hinge system, HOLD tight anchoring points, and SURE Grip rubber feet. We use UV stabilized polyethylene and up to 3 inches of polyurethane foam to give the cooler superior insulating capabilities and the ultimate in strength and rigidity. We offer a wide range of sizes and colors for all your hunting, fishing, rafting, camping, tailgating and any other outdoor needs. Professional Grade - Engineered to make the outdoors great! If you have any questions about this product by K2 Coolers, contact us by completing and submitting the form below. If you are looking for a specif part number, please include it with your message.